Annabel Monaghan, Rye resident and mother of three, never thought she would get back into writing. An avid writer in high school and an English major in college, she set aside her dream of becoming an author years ago in order to pursue a more stable lifestyle. “I’ve always been fond of food and shelter,” she said. But after her close friend Elizabeth Wolfe urged her to co-author “Click! The Girls Guide to Knowing What You Want and Making It Happen,” Monaghan’s almost-forgotten passion came back. With her second book, “A Girl Named Digit,” set to be filmed as a Disney Channel movie, Monaghan is living what she writes about most, boldly embracing your individual talents. After “Click!” was published, no one knocked on Monaghan’s door for another manuscript. Even Monaghan herself thought it would be her first and only book. But, after a taste of the writer’s life–holding her first book in hand, talking with readers at books signings–Monaghan decided to write again, if only for her own enjoyment. It was then that the idea for what would become her hit novel—and soon-to-be Disney Channel movie—was born. 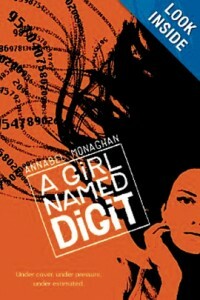 An engaging and witty adventure, “A Girl Named Digit” is the coming-of-age story of an extraordinarily smart high school girl, nicknamed Digit, who, instead of fitting in, is forced to face her own strengths and weaknesses after cracking the communications system of a dangerous eco-terrorist organization. Originally published in June 2012, the book has been well-received, not just in the New York area, but internationally. A French version of the book has fared well in stores, as has a reprint edition with an alternate cover. For Monaghan, her first novel has become much more than a book. “It’s an entity, almost like an atom. To be able to reflect on how that entity came together, all the different characters, storylines and symbols…it’s an amazing thing,” she said. After John B. Carls, producer of “Where the Wild Things Are” and “Rango,” heard of Monaghan’s book, he took interest in the story. Soon after, talks of a screenplay started. A Disney Channel movie of “A Girl Named Digit” is expected to enter production in a year. 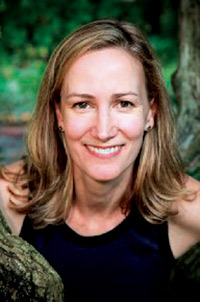 At the heart of Monaghan’s books are lessons for young adults, specifically young women. Her second book, the sequel “Double Digit,” is expected to hit stores January 2014. The book will detail the ongoing struggle and adventure Digit has in college. Currently, Monaghan is just over 1,000 words into what she imagines will be the last book of the trilogy. As for life post-Digit, Monaghan is considering a number of projects, including a book for adults exploring screenplay writing and following where story ideas take her. “I always think I’ll be out of ideas because when you write, you empty yourself out. But this won’t be my last book. I know it,” Monaghan said. The post Disney Channel to film Rye author’s hit novel appeared first on Hometown Media Group. Tags: A Girl Named Digit, Annabel Monaghan, Disney, Disney Channel, Fiction, New Rochelle, rye, Young Adult Fiction. Bookmark the permalink.